Is available right here in the Chippewa Valley! Solid Gold Entertainment is our Full Time Business, not a weekend hobby. This is our livelihood so you know we are very dedicated to making your event the best it can be. Locally owned and operated in the Chippewa Valley, Solid Gold Entertainment has been creating memories that will last a lifetime since the 1990's. Whether you are planning a Wedding or Anniversary, our two specialties, or just want to throw a party, let Solid Gold make your event the very best it can be. 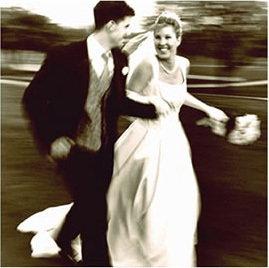 Let our years of experience in the industry work for you on your special day! Our success over the years has given us a huge referral base. We are in high demand because of our personal references. Insist on professionalism and integrity for your very important event. A commitment to providing quality entertainment! Solid Gold Entertainment is proud to be a member of the National Association of Mobile Entertainers. With our affiliation to this organization, we must maintain excellent client relationships and give quality entertainment to their event.